Elizabeth Mariani published her first volume of poetry in 2008 by Semperverdi press, entitled, "imaginary poems for my imaginary girlfriend named anabel." Earning a B.A. in American Studies, with a Concentration in Cross Cultural Studies from The University at Buffalo; Elizabeth has been a dynamic force during the rise of the poetry scene in Western New York. This 28 page volume is proof of her dedication to the written word. The highlight of this volume can be found on page 25 where Elizabeth describes her focus for this entry: "tatiana: the siberian tiger who escaped from her open air cage in the san francisco zoo on December 25, 2007. she killed one human and injured two others. this is a story about tatiana and anabel, my imaginary girlfriend." Elizabeth writes: "anabel and tatiana / made a pact / anabel said / to tatiana /over air and space / energy wind / and friend face / the bosom buddies / of different species / made a blood red saffron pulse / of a jugular country road pothole / slow down for the turn pact." In this piece, Ms. Mariani manages to bring the the tiger (tatiana) caged then escaped, joined by an imaginary girlfriend, (anabel), together into their own realm. There is a melding of similarity between different species, that can be compared to present culture. The two embark on a private journey, away from media that wishes to cover the story of the tiger who has killed, away from the police and the reporters, into a childlike dream state existing purely for tatiana and anabel. Tatiana and anabel escape into a reality of their choosing, one most of us recognize, to view the world through the eyes of a child and an animal. Through metaphor, this text causes one to understand why the tiger escaped, why the animal should not be caged and why this girlfriend, although imaginary, likens to the tiger. Tatiana too, feels outcast, as the tiger, blamed for its instinct, judged for being an animal. Caged as humans often are, emotionally, intellectually, and spiritually; this piece focuses on the world today. The need to regain self and to look within and beyond the paparazzi that so often muddles the truth. This is apparent in the lines: "how could it be / said lawyer a to lawyer b / that zoo animals / insist on being free / how can it be / said reporter a to reporter c / that reporter b / is too scared to write / what he sees." Elizabeth continues: "and tigers reaching / for natural terrain / reject the notoriety / and the fame / of the living / of the living mammal / caged for cuteness." Elizabeth Mariani is an avid supporter of Human and Civil Rights, The Environment and Art in every genre. 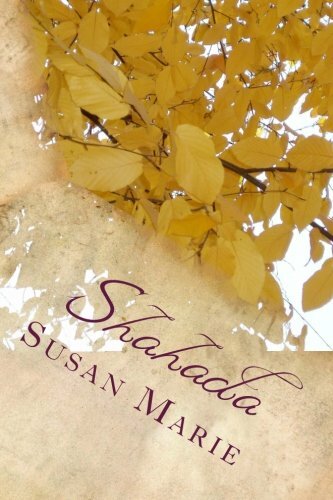 Her volume of poetry speaks of her own experience, told through the vision of a woman. Elizabeth's website can be seen at: www.lizmariani.com and she is available for speaking engagements. There are extensive links to publications, radio, websites and many of her fine accomplishments listed. To purchase this volume: www.lizmariani.com/book.htm, or visit Rust Belt Books, 202 Allen St., Buffalo, NY 14201, www.lulu.com and http://www.myspace.com/transitisamindstate. This review is featured in Target Audience Magazine HERE and HERE. For Immediate Release: (Buffalo, NY) - Peter Longo, President of The Western New York Chapter of Restaurant Association, in conjunction with Dennis Di Paolo of Ilio Di Paolo's Restaurant, and Italy's Honorary Buffalo Vice Consul, Lucia Caracci Cullens, announce a press conference to be held on Monday, April 20, 2009 at Ilio Di Paolo's Restaurant, 3785 South Park Avenue, Blasdell, NY at 3:30pm. The conference will announce the local food service response, "Dining Out For Abruzzo", to support the victims and families from the recent earthquake in the region of Abruzzi, Italy. This region is the ancestral birthplace of numerous members of Western New York's food service community and the legendary Italian wrestler and restaurateur, Ilio Di Paolo. On April 25, 2009 at St. Anthony's Church in Buffalo, there will be a memorial service to be announced. The Western New York Community has established itself with numerous people of Italian descent and operators of pasta and pizza houses throughout Western New York. ALL food service establishments are invited to participate in this endeavor. A portion of receipts are asking to be donated in support of "The Italian Earthquake Fund" on dinners purchased by the general public on the evening of Thursday May 7, 2009. On April 20, at Ilio Di Paolo's, food service professionals will join the principals. As is the Italian way, there will be food and drink. On May 8, 2009, from 7pm to midnight, a fundraiser to benefit "Music is Art" will be held at The Buffalo Irish Center 245 Abbott Road, Buffalo, NY 14220. This will be an evening of outstanding and diverse entertainment from rock to jazz, fusion and hip-hop. The performers include local musicians: Type Relevant, Free Henry!, Shameflute, and The John Hunter Trio along with Rochester's own, Subsoil and Reece Q. Music is Art is a not for profit 501c3 organization founded in 2004 by Goo Goo Dolls bassist and Buffalo native Robby Takac. Music is Art operates through a board of directors, staff, partner organizations, sponsors, and various volunteers. This organization enlightens and ignites a personal connection to the artistic merit and acceptance of all forms of music. Music is Art explores and reshapes music’s cultural, social, and educational impact on our community. Type Relevant is a powerhouse trio that impresses a wide range of crowds with a blend of jazz, funk, blues, and hip-hop. Formed in 1999 featuring Brian Herlihy (Relevant) on bass, guitars, and vocals, along with John Hunter (TypeNice) on drums, their first shows were in 2000 in South Buffalo and Downtown Buffalo. The band acquired a wealth of local and regional support. As their unique sound blossomed, so did their networking skills and community activity. As a result, Type Relevant is well known for both their musical and promotional abilities. The Buffalo Irish Center is home to over a dozen not for profit organizations promoting various aspects of culture. The Center has become one of the richest cultural and ethnic centers in Western New York. It is designed to enable the community a common space where cultural interest can be fostered. For more information: 716-825-9535. On May 8, get to The Irish Center, support the future of music, organizations and community. Music Is Art is a leader in benefiting the progression of music education ranging from providing instruments to children to consistent outlets for local musicians to entertain. On October 9, 2008, the Buffalo Music Hall of Fame held it's 25th Anniversary Induction Ceremony at the Tralf in downtown Buffalo. I had the pleasure of covering this event to further promote the talent that is thriving in our city. This years inductees were as follows: Ed Bentley, Bob James, Richard Kermode, Jerry Livingston, Tom Reinhardt, Joe Rozler, The Schulz Family (Dave, Gretchen and Robert), Joanie Sommers, Jimmy Sacca, Mack Luchey, Anthony Marchese and Richard Sargent. Access Think Twice Radio to listen to the first ever live performance of the Schulz Family (Bob, Gretchen and Dave, along with Joe Rozler and Jerry Livingston), all 2008 Inductees. Gretchen honored 2008 Inductees Joanie Sommers and Richard Kermode by flawlessly performing "Johnny Get Angry" and "Cry Baby." I spoke with Van Taylor of Van Taylor Production and Taylor Made Jazz who performed during the VIP ceremonies, as well as interviews with Ritchie Derwald and Doug Morgano, (who regularly plays with Gretchen Schulz), all three of them current Board Members, as well as entertainers. The Hutch Tech Jazz Combo was chosen this year to compliment the event. I was honored to speak with Musical Director, Ben Boyar and three students, Jacob Jay, Dalton Sharp and Samantha Peplowski. After catching Joe Rozler and Celia White, Lance Diamond took the stage and got the crowd going. One of the most honorable moments was speaking with Mack Luchey of Doris Records located at: 286 East Ferry St, Buffalo 883-2410, a staple of Buffalo's entertainment scene since the early 60's. Shortly after, Van Taylor inducted Jerry Livingston, quite possibly the most amazing bass player I have witnessed in this region. One of the most compelling interviews was with Frances Scharett, a 2003 Inductee who was a part of the Vaudeville scene in the 40's. Doug Ruffin, (a 2004 Inductee) of WUFO and Urban Legacy Filmworks spoke on behalf of Matt Luchey, followed by Joe Rozler's Induction speech, then a duo performance with Jerry Livingston. The Buffalo Music Hall of Fame was founded in 1983 to recognize groups and individuals who have had a significant impact on the WNY music scene and/or achieved success in the music industry on a national and often an international scale.